Fun, fresh menus for every budget and occasion. Whether you’re gathering your team for a lunch meeting or bringing a feast to a prospective client, Chef 1 Studios will deliver a deliciously crafted menu perfect for a casual business setting. Create a relaxed atmosphere with a range of chef-prepared options for breakfast and lunch. Our affordable self-service buffets feature hot, from scratch items that stand out from big chain boxed lunches. With our online ordering system, you can personalize your meal selections and choose a time and date for delivery with a few clicks. Our dependable service team will deliver to any location in the Central Florida area, from the Space Coast to the theme park corridor. When you gather loved ones together for a special occasion, let us create a delicious experience for your guests. Our logo has a chef’s knife for a reason. We believe in creating meals from scratch with no “heat and serve” premade food or sauces. We use traditional culinary techniques so you and your guests can see, smell and taste the difference. 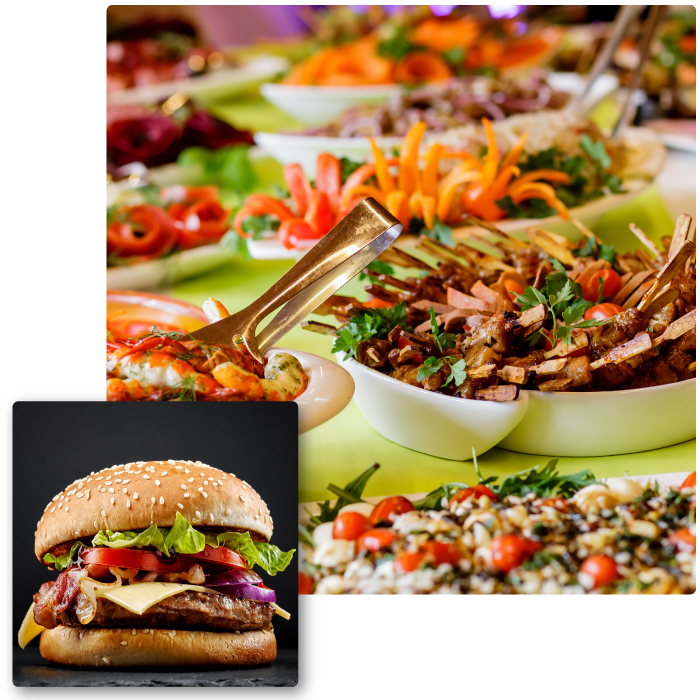 With a wide range of customizable menus and affordable package pricing, let us help make your event memorable with fresh, Chef-crafted meals. Contact us to discuss a personalized menu and taste samples of our cuisine. Chef 1 Studios is also the preferred caterer of Crystal Ballroom locations throughout Central Florida. Take a look at Crystal Ballroom’s exquisite catering venues and our mouth-watering menus. Creativity and attention to detail with exceptional food and service make Chef 1 Studios your premiere choice for catering in Central Florida. 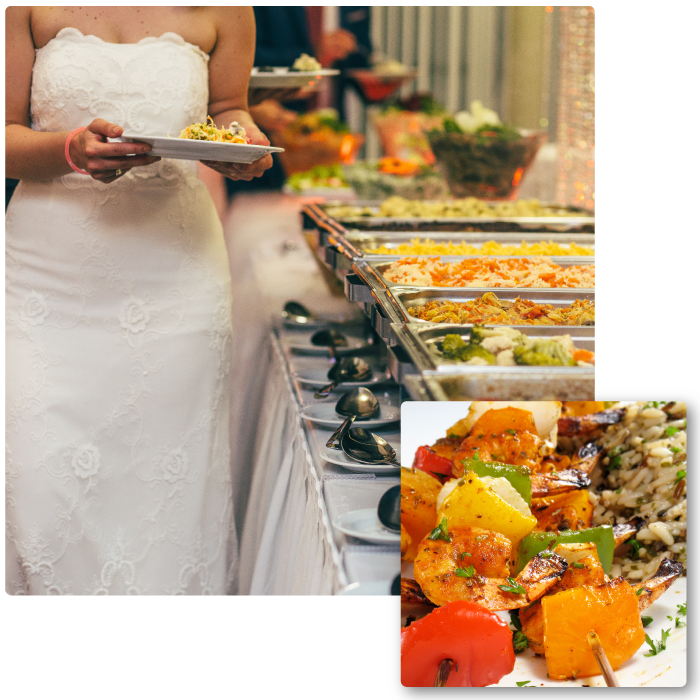 Award-winning and locally owned and operated, our catering combines dependable service with tantalizing menus. We believe memorable events are created through a warm, relaxed environment filled with good food and conversation. We work side by side with our clients to create an intimate and personalized experience to fit any budget. As one of the premiere catering companies in Central Florida, Chef 1 Studios ensures every menu is artfully crafted utilizing fresh, seasonal ingredients. We offer breakfast, lunch, and dinner options for a range of events as well as varied serving options. From business lunches to weddings, let us provide you with the signature Chef 1 Studios experience.